We are so excited about our next giveaway item. 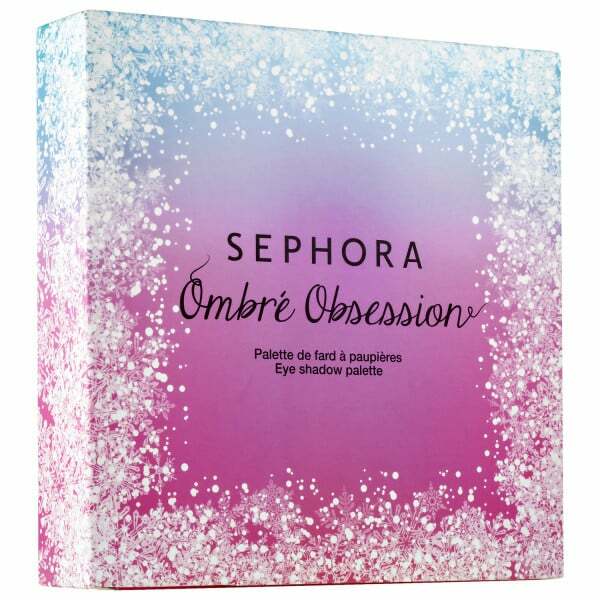 Our winner will receive the Sephora Collection Ombré Obsession Eyeshadow Palette! 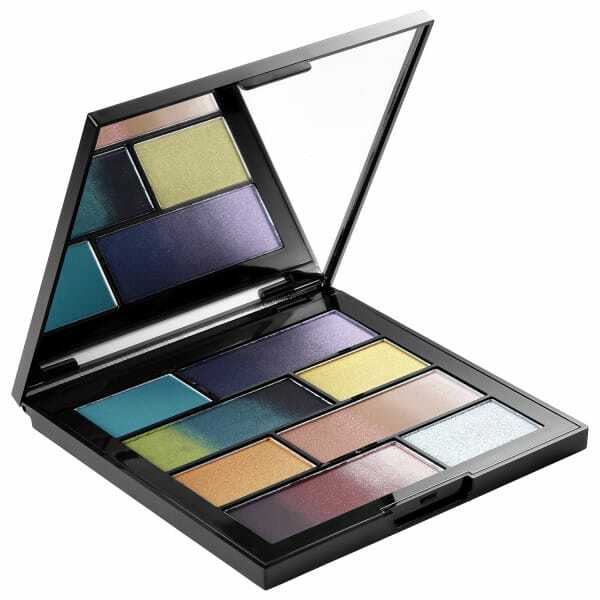 It’s a $175 value, containing 8 different eyeshadows – four ombre shades and four regular shades. The ombre shades are so fun! Each color ranges from light to dark so that you can play around with the depth of the color. Mix and match to create endless looks. We’re pretty obsessed with this one, and can’t wait to send it to our lucky giveaway winner! Another reason we love it? The products within it are not tested on animals. It’s also paraben free. Enter the giveaway using our giveaway widget (see below)! If you don’t see it for some reason, click here. Choose any or all of the entry types. You get points for sharing, liking, following, commenting, etc. Many of the entry types can even be done each day. The more times you enter, the greater your chance to win. We’ve included a few of our Instagram friends as well, and you can earn extra points by following them too! Our giveaway starts now and ends on Monday, March 28th at midnight MST. It’s open worldwide. Must be 18 or older to enter. OMG! That looks gorgeous. I NEED it. so pretty! 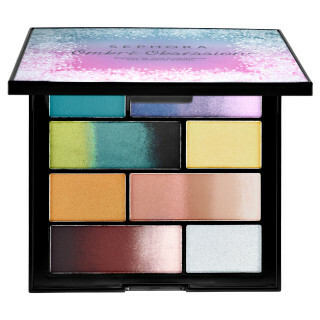 I’ve never owned an ombre makeup item before so I am eager to have this one! Your so right,my 19 year old granddaughter loves these products. And she is so beautiful when she uses them. I would love you to feature NYX or Physicians Formula in your next giveaway! Too faced would be fun to feature! I would love to try that new Bye Bye Foundation – IT Cosmetics Full Coverage Moisturizer I keep seeing advertised on television. Definitely Urban Decay or It cosmetics! However, I would love this collection from Sephora! Thanks! The new eye palette from Tarte “Rainforest of the Sea”. Pretty palette! I’d love to see an Urban Decay or IT Cosmetics giveaway…. What a gorgeous palette! I think you should feature Kat Von D next! I love all of her products! I like so many makeup brands. One that I’m interested in that I don’t here or read much about is Origins. The girls use this a lot!!! I love Urban Decay and Too faced! Please feature the SEAWEED series of The Body Shop! I’d love to see a Benefit giveaway. I just discovered Roller Lash and love it! I would love to see a MAC giveaway! Love to see a KVD giveaway! Lancôme palettes would be nice too. Pretty palette! I’d love to see an Urban Decay giveaway! Such a gorgeous palette! I would really love to see an It cosmetics giveaway – Bye bye redness would be a great thing to win 🙂 Thanks! Makeup gives me courage in a world which so greatly requires that one possess it. & If I had to choose a brand other than UD, I’d say… Benefit. Would love to see another Sephora, or UD giveaway! oh pls 🙁 let me win this time! I would love you to do one on any Tarte product, especially lip gloss or eye shadow! A Too Faced giveaway would be awesome! MAC or Bobby Brown would be popular, but I love Estee Lauder makeup, cleansers and moisturizers! I would love to win this so I can give it to my sister as a graduation gift. I love mac, nyx is one of my favorites too!! My daughter and I both use many products from Sephora. These products are absolutely fantastic. I have not purchased this particular product, however if I win, I will definitely post photos. This is gorgeous! I’d like you to feature bhcosmetics next. I’d love to see something really fun like makeup geek or colourpop! An urban decay giveaway would be fun! I would like to see Urban Decay or MAC in your next giveaway. I would love for you to feature Tom Ford. I would like you to feature NYX on your next giveaway. I would appreciate it if I could win. 😉 Thanks. Maybe Tarte or Urban Decay? I’d love to see a giveaway for a smaller indie company! I’d like to see a Tarte giveaway. I would love to see some Urban Decay in your next giveaway.